According to a survey conducted by GfS Bern, only 36% of Swiss would support the UDC/SVP’s 2014 initiative against mass immigration if forced to choose between it and maintaining bilateral agreements with the EU, which include an open door policy towards EU nationals. Of the remaining 64%, 47% are against the initiative and 17% are undecided. 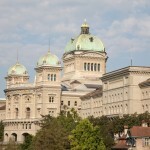 The survey, commissioned by Interpharma, an association of Swiss pharmaceutical companies, shows a big shift in opinion. In February 2014, 50.3% of Swiss voters accepted a constitutional amendment to control EU immigration into Switzerland, something not permitted under a Swiss-EU agreement on free movement of people contained in a package of bilateral agreements. This survey is the third on the subject. “The percentage in favour of the initiative has been falling slowly but steadily since 2014” said Claude Longchamp, of GfS Bern. Talking to the NZZ am Sonntag, who published the survey, he said that economic arguments for maintaining the bilateral agreements carried the most weight, with 80% finding them compelling. In addition, 63% of those asked said they would prefer the initiative to be applied in a flexible manner. Only 31% said they’d prefer a strict application even if it meant putting the EU bilateral agreements at risk. Regarding the extension of free movement of people to Croatia, 60% were in favour of agreeing to it. A final decision on this is expected in June. The survey showed the tendency of French-speaking Swiss to be more likely to prioritize retention the current EU agreements than the rest of the country, especially among older people and those who have confidence in the Federal Council. “The economic argument is starting to be heard.” said Laurent Wehrli, a National Council member from the PLR. 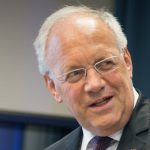 He talked of the model proposed by the canton of Ticino, which proposes a flexible approach involving rules that differ by region and sector, rather than a one-size-fits-all approach. Yves Nidegger, of the UDC/SVP in Geneva said “What I see is that the people accepted our initiative in 2014 and continue to express a need to control immigration.” Regarding the EU bilateral agreements he says his party wants those too. For him the question is whether free movement of people is acceptable or not. As for a flexible application of his party’s initiative, he thinks this needs to looked at on both sides.